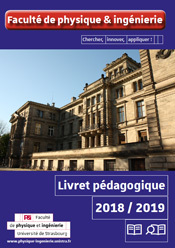 European Summer Universities were proposed by the French Minister of Education in 2000 to develop the pan-European University space for undergraduate students and university staff. Mobility, not only of scientists but also of students, plays an increasingly important role in research, industry and the academic domain. We had extremely positive experiences during the last four years with Summer Universities focused on the problems of our energy resources, an introduction to Nanoscience, Modern Optics, and Quantum Mechanics, respectively.